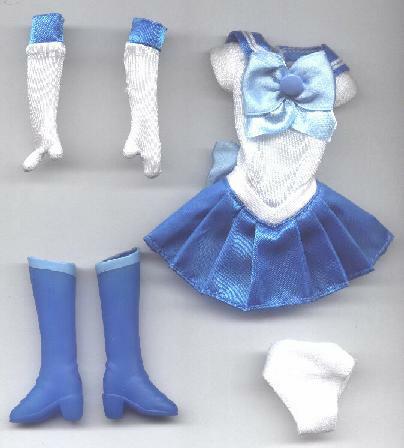 Anyone seeing the original North American Sailor Moon 12 inch doll release had the same response, “Why doesn’t she have a nose?” For reasons that remain a mystery, rather than using their existing molds, Bandai/Irwin created new “stylized” molds that went beyond unattractive looking to achieve downright bizarre. Unsurprisingly, the original release sold poorly and was soon clearanced, with future releases often available only through specialty shops and expensive mail order catalogs. However, perhaps due to the excellent sales of the Sailor Moon movies, Irwin has decided to try again. The 2000 line dolls feature all new head and body molds, and darling anime faces with noses. They also feature a few touches not previously available in ANY Sailor Moon line- accurate transformation wands with the emblem of the individual Scout on them and correct earring designs. Although the molds used for these dolls are all new, the face bears a striking resemblance to the original Japanese face molds. The mouth is slightly smaller, the chin a bit rounder, but overall, the mold does a wonderful job of portraying both the iconicness and the attractiveness of the original characters. The biggest flaw with the heads (to me at least) is that the holes for attaching the tiara are a bit lower on the forehead and hence, are harder to disguise. Ami’s eyes are painted blue and her mouth is done in a light coral color. Although her hair looks almost black in these pictures, it is actually a royal blue color that appears a medium blue where the light is hitting it. Her hair is nicely styled in a fully rooted bubble with a side part. Her earrings are the proper small blue studs. 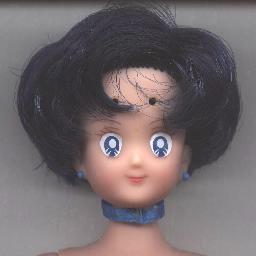 Her choker is a simple strip of blue ribbon which has been sewn permanently in place around her neck. 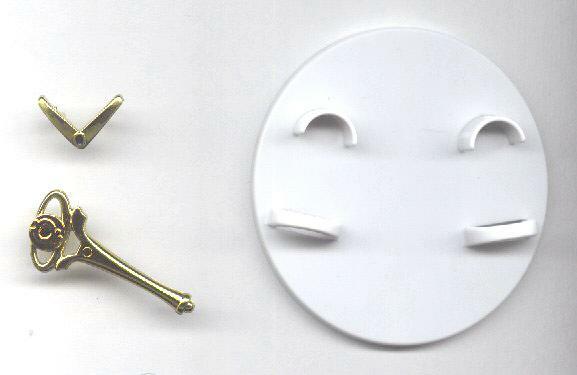 The new body mold is not particularly articulated, but again, it is a huge improvement over the previous molds. The new body has Barbie-sized proportions, so she can borrow Mattel clothing. Her feet are larger, however, so they are limited to their own shoes for the most part (Ami wears Ultimate Hair Amidala’s black boots nicely enough). The new hands are very graceful looking! 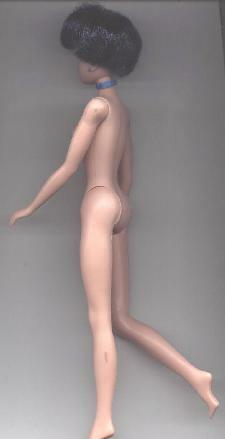 For movement, there is a ball jointed neck, swivel arms and legs, and knees with three solid clicks. The legs are designed to have a slightly widened stance compared to most dolls- this gives a more confident looking stance and also aids in having the dolls stand firmly in their stands. This is one of the nicest Scout outfits I’ve seen made to date! The skirt is actually pleated, with the pleats sewn in place. The fit is also better than most of these uniforms. A single white ribbon is sewn on the collar, but the contrasting thread gives the appearance of two smaller ribbons. All of the fabrics used are of nice quality. The gloves have a better fit than most, with a deep division between the thumb and finger portions that helps eliminate a lot of the “oven mitt” effect seen so often with doll gloves. The outfit is finished with a pair of spandex briefs and nicely molded soft plastic boots. There isn’t much to tell here, but it’s all very nicely done. There’s the golden tiara with blue center, the white stand, and of course the transformation wand. The wands are all new as well, and feature nicely molded symbols for each Scout, even including the heart shaped alteration of the Mercury symbol. Profiles of Ami Mizuno (Sailor Mercury’s alter ego) always include her love of reading and playing chess and her skill at math. Small wonder, then, that she was drawn to these preppy plaid pants given a bit of style with their blue color. She looks ready to take on all comers at the weekly chess tournament- unless they’re from the Negaverse, in which case she’ll have to change first….